German rock-climbing website, via-ferrata.de, has created a Google Map mashup of climbs in the Alps. 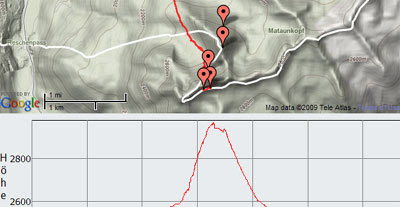 The climbs are submitted by users of the site and gpx files can be downloaded for each climb. You can also check for vector images drawing source like: Free vector map Germany Adobe Illustrator, Corel Draw on our website.